This entry was posted on June 18, 2013 by Jessica Anderson. Our 2013 “busy season” is done. Sports have finished their games, recitals are complete, schools are out for summer, and businesses are wrapping up the fiscal year. Many personalized trophies, dogtags, metals, and corporate awards flew out of our doors, each one given to someone special who earned it. It felt great to create all of these positive awards for people who deserved them. While working in our production facility, we saw how creative and inspiring our customers can be. They chose beautiful awards for retiring colleagues, with lovely and meaningful messages inscribed. 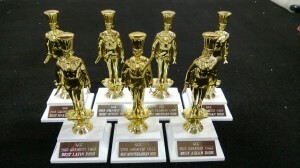 We created many fun awards, especially toilet trophies, for golf tournaments and corporate events. Musicians and dancers received awards at their recitals, acknowledging practice and dedication throughout the year. Many sports teams were recognized for working hard and improving over the season. Coaches were given plaques and ball holders to memorialize their passion for the game, and to thank them for mentoring their players. And many teachers were acknowledged for all they do for their students. 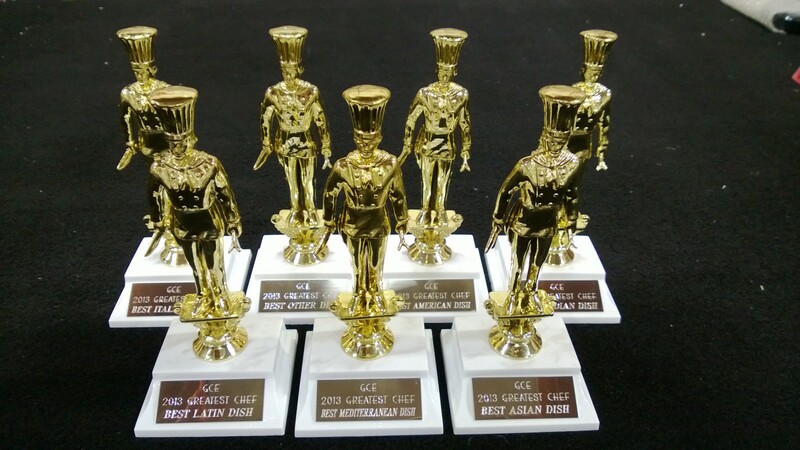 Each order we make has a story, and I loved capturing and sharing many of these on our Trophies2Go Facebook page. It’s not every day you can create a trophy for “Nana who went to nationals” or “Runder Woman” who completed a half-marathon on Mother’s Day! If you have a story of your award you’d like to share, email me at [email protected]. We love the work we do to provide meaningful recognition. Thank you customers for allowing us to share in your accomplishments!